Deal with your personal life on your own time to maintain professionalism. When you were younger you were probably told to "grow up" a time or two. That suggestion may have seemed confusing back then -- and it doesn't get easier when you enter the work world. 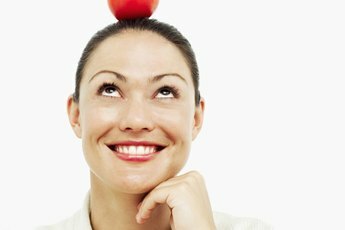 Doing well at work typically means growing up and acting "professionally." A little explanation can help you to do that. The phrases, "You only have one chance to leave a first impression," and, "Image is everything," definitely apply to the workplace. When you're concerned with professionalism in the workplace, you'll dress the part and make sure your clothing and grooming is up to par. If you have any tattoos or piercings, you will keep them hidden. The appearance of your workplace is also important. Keeping a tidy desk or work area will show others that you're organized and professional. While there are lots of peripheral things that factor into a job, the actual work is what you're there for. If you're not committed to your job, others around you are going to notice. That includes showing up to work on time, learning everything you can about the business, and going the extra mile whenever possible. That doesn't mean taking on too much or saying "yes" to every project and then not delivering. The professional also knows her limitations and is able to speak up when she can't handle a work load or project. While having a good rapport with co-workers is beneficial and can improve productivity, a professional strikes a good balance. Gossiping about other employees or spending too much time chatting with co-workers is decidedly unprofessional. Likewise, sharing sensitive information about the company with outsiders is not a good practice; the professional stays on-message and knows when and how to share information. Professionals also have a good attitude and have good manners; they avoid being cocky or disrespectful to clients and co-workers. You can also measure a professional by her balance of professional versus personal interactions at work. 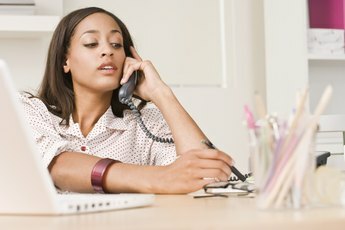 Professionals will avoid doing personal business or making personal phone calls during work hours. They'll also stay off social media sites when they're supposed to be working. You may have a lot of pressing issues to deal with -- including home and family obligations -- but the as a professional you will try to minimize the impact those things have on your work life. The Undercover Recruiter: Professionalism in the Workplace: Myth, Mystery or a Must?